If you are looking to build a career, you have come to the right place. This isn’t just a job - Higher Ground is committed to inspiring people to better themselves and their environment. We offer a living wage and many opportunities for growth. If you are dependable, reliable and have a great work ethic, this may be a perfect fit for you! Please complete the employment application below, don’t forget to include your work history and what makes you a great addition to our team! Please let us know why your are interested in employment with Higher Ground Rainwater Systems and what experience you have. Are you able to pass a drug and background check? Thank you for your recent application! You will hear from our office shortly. We are looking for seamless gutter installers for our rainwater management company, Higher Ground, which prides itself on ensuring that water causes as little destruction as possible to homes and businesses. Customer satisfaction is our top priority, and we offer services such as gutter installation, protection, and cleaning, as well as rainwater harvesting and drainage insulation. 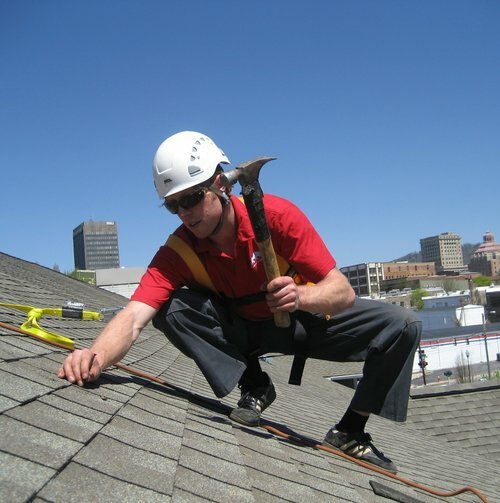 Gutter installation experience is preferred for this position, particularly with fascia and/or soffit repair, but we are willing to train the right individuals. You must be comfortable with heights, as we frequently utilize 40-60 foot ladders, and with cleaning and loading trucks. You must be able to pass a background check, have a valid driver's license and clean driving record, as well as reliable transportation to get to our office each day. The work will be outdoors and is weather-dependent. If you enjoy climbing, being outdoors, athletics, or have an outgoing personality, we could use your skills! We are looking for Home Services crew members for our rainwater management company, Higher Ground, which prides itself on ensuring that water causes as little destruction as possible to homes and businesses. Customer satisfaction is our top priority, and our Home Services team offers services such as gutter protection and cleaning, as well as other home maintenance services. You would be working as part of a two-man crew that will use safety gear and harnesses to access roofs - you will utilize 40-foot and occasionally 60-foot ladders, so you must be comfortable with heights. Hours will range from part- to full-time, depending on business needs, and will be weather-dependent.